We're getting an off-campus house with a bunch of students. How can I rely on everyone to pay rent? Your college housing can impact well-being and ultimately your academic performance. The people in your apartment add to this experience or make it a daily nightmare. Choosing the right roommate needs to be taken seriously, and you will need to check them out before they move in. Sharing costs is the primary reason you find a roommate, paying rent and bills on your own is too much of a financial burden on top of tuition. Finding someone that is financially reliable and can get along with you should result in a great year together. There are a few steps to take to prevent problems. Using your personal network is the best place to get started. Ask your friends if they know anybody that fits the bill. Even though you may not know them personally, you can trust recommendations from friends and family. It is probable that you will find a good roommate quite quickly. Remember, people find spouses this way. When you do get a candidate, interview them first and have a number of questions prepared. They should be financially stable enough to cover their share of the rent and bills. 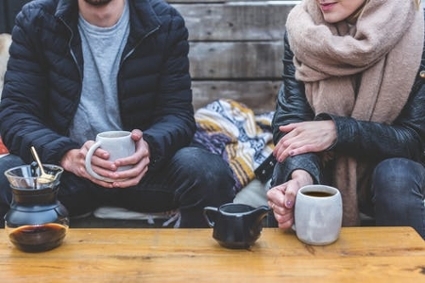 Meet them informally a couple of times over coffee so that you can get to know each other before inviting them to move in. You can use this time to agree on house rules and shared responsibilities. Find out about their lifestyle...are they the quiet and indoors type or a loud party animal, as you will need a match for your own personality. Get to know their preferences on things such as TV, music, eating habits, sleeping habits, etc. You will be living in close proximity to each other and compatibility is essential. Ask them about their current living situation and what they do for a living, as a lot of job hopping or unemployment will not bode well for regular rent payments. Ask why they're looking for new accommodation. Is the current lease up, have they been kicked out, or are they studying at the same campus? Asking for references is also a good idea. If they have a good rapport with their current landlord or boss, there will be no problem getting one. If you can try to have a chat with their landlord or manager, someone trustworthy will have no problems with you doing so. Try to talk to their past roommates, as they are a first-hand source of information. A credit or background check can reveal a lot of information and is advisable when you depend on roommates paying their share of the rent. Once you have made a decision, get everything in writing and draw up a rental contract. This clears up any possible misunderstandings down the road and provides some official legal backup for both of you. My roommate got a pet elephant. Then it got lost. It's in the apartment somewhere - Steven Wright.